Sarah is my Buddy from down under, why she is single i have no idea!! If you are funny, tall, and and think you can make a big impression take your chance now before its to late....She is everything you could ever want!! I have been astonished that men could die martyrs for their religion - I have shudder'd at it. I shudder no more. I could be martyr'd for my religion Love is my religion And I could die for that. I could die for you. 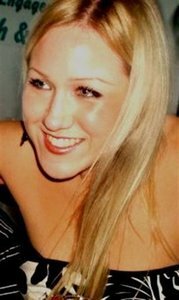 Sarah is a beautiful Australian girl, and a very loyal friend. I always have a good time when I'm out with her. Actually Sarah why are you on here??? Sarah is a top chick, always up for a laugh and with a big heart. If you are ever up for a glass of wine then Sarah is definitely your chick.